A 14-year-old girl from the UK has become one of the youngest people in the world to be diagnosed with mesothelioma. Macie Greening of Cullompton, Devon, is now one of just nine children in the world to suffer from one of the rarest cancers in the world. According to the American Society of Clinical Oncology (ASCO), mesothelioma occurs more often in men and it can take anywhere from 20 to 50 years from exposure to the development of the disease. Some medical professionals say the latency period is 30 to 40 years. Either way, it takes decades for the disease to develop, which is why the average age at the time of diagnosis is around 69. 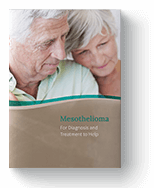 While 75 to 80 percent of all mesothelioma cases in the U.S. are malignant pleural mesothelioma (lungs), malignant peritoneal mesothelioma (abdomen) cases account for just 20 to 25 percent of all cases. In the UK, just 10 percent of mesothelioma cases diagnosed each year are peritoneal mesothelioma. Macie Greening was diagnosed with peritoneal mesothelioma. Like pleural mesothelioma, peritoneal mesothelioma is caused by exposure to asbestos. When asbestos fibers are ingested or swallowed, they can reach the abdominal lining where they can cause peritoneal mesothelioma. The American Cancer Society says people can swallow asbestos fibers if they consume contaminated food or liquids, such as water that flows through asbestos cement pipes. Swallowing asbestos can also occur when people cough up asbestos they have inhaled, and then swallow their saliva. Peritoneal mesothelioma is typically treated with a combination of surgery, radiation, and chemotherapy. Macie is not a candidate for surgical removal of her tumors, so she has completed at least four rounds of chemotherapy. The treatment was not effective, so the teen’s family and medical team are hoping to match her with a clinical trial. “Asbestos and Cancer Risk.” American Cancer Society, American Cancer Society, Inc., 2018. Web. 12 Sept. 2018. Editorial Board, Cancer.Net. “Mesothelioma Statistics.” Cancer.Net, American Society of Clinical Oncology (ASCO), Jul. 2017. Web. 12 Sept. 2018. Maslow, Jacob. “14-Year-Old Is One of the Youngest to Be Diagnosed with Mesothelioma.” Legal Scoops UK, Legal Scoops, 11 Sept. 2018. Web. 12 Sept. 2018. Serikova, Maria. “Peritoneal mesothelioma: New insights about causes and treatment.” Becker’s Leadership & Infection Control, Becker’s Healthcare, 02 Mar. 2018. Web. 12 Sept. 2018.